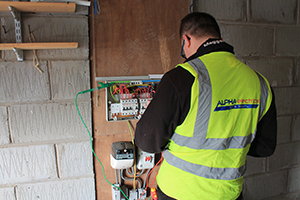 It is now law that any property that is being let, has to have an up to date EICR. We already carry out these services for a number of letting companies, housing associations, private lets, and domestic clients. You’ll find our fixed rates very competitive. Our admin staff can programme works, for a large number of properties at no extra cost. We can issue the report & quote for any remedial works which maybe required. 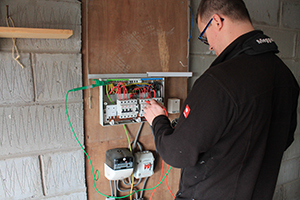 We can offer our services to our building/electrical contractors as they may not have the qualified or experienced staff to carry out any Electrical Installation Certification which may be required. 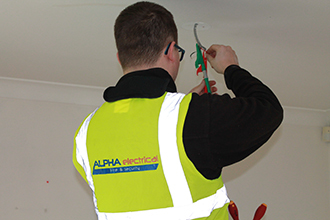 Alpha has a certifier of construction within our business, who can sign of any works that require a building warrant through the local authority. Please note that we require to visit site before & during electrical installation to comply with the building regulations. We have a number of engineers qualified in PAT. Our service includes creating an inventory & carrying minor repairs during our visit.